This entry was posted in classical music, compositions, music, photography, technology by Michele. Bookmark the permalink. I don’t have to do that any more. First of all, thanks for creating the image. 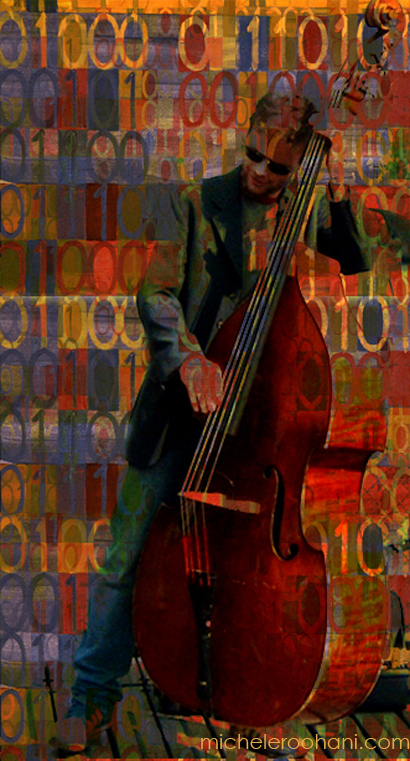 I love the way it blends classical and digital, musical and visual. Culture should grow, evolve, and adapt. By listening to Cope/Emmy’s music and knowing the process used to create them you were inspired to create a beautiful piece of art. If Cope hadn’t done his work you would never have done yours. I understand that the connection between the Cope/Emmy cyborg and the classical composers that were used as a basis for the pieces may be too close for comfort for many of those who revere their works. But since this inspired you and probably others to create, they have definitely served a good purpose. Just wanted to say that I absolutely love your site. I am reading, listening, enjoying, etc. I am glad that a friend of mine in California forwarded the URL to me. 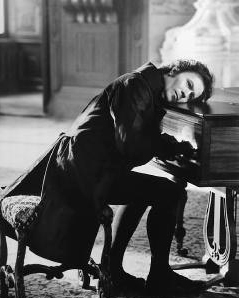 I love the scene in Immortal Beloved when Oldman’s character (Beethoven) puts his near deaf ear to the piano and plays the Moonlight sonata. You can feel his passion and wretched longing for the vanishing notes. The pain of his ebbing hearing is perceptible. Oldman does a great job for the part in this movie. Oh, also, RadioLab is a great program. Also a favorite of mine on my iPod. I highly recommend a previous and recent show on the “Placebo Effect”. Actually, all their shows are great! The musical dna — yes that was far off — no it didn’t scare me, neither did it impress me. Machines merely ape that which the human brain can do. the ‘underlying patterns’ are not new to seasoned listeners among whom figure other composers. 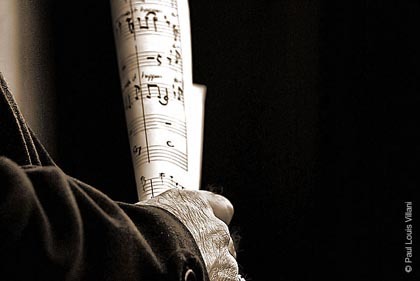 they can hear, aknowledge these patterns, even incorporate some of them in their own work — you hear this being done by Beethoven (vis-à-vis Haydn and Clementi) in his early work, noteably in the 1st symphony. in that work there are very haydenesque moments and yet every note bears the indellible stamp of the young genius. In brief this mechanical dna — appologies to Mr D. Cope — will not engender new life, but mere ear pleasing — cuz we’ve somehow heard it before — ear-clone-candy. Just now listened to : Variations on a Theme of Frank Bridge, Op 10, by Benjamin Britten and then ‘Sarah Was Ninety Years Old’ by Avrö Part (performed by the Hilliard Ensemble — ECM records) Brilliant. In the end, I can’t cope w Mr Cope. An act like this is prepared within the silence of the heart, as this is a great work of art. Like great works, deep feelings always mean more than they are conscious of saying. Finding patterns within the compositions of the great ones, be it a fugue of Bach, or…..creates a window of possibilities which one may mechanically imitate or duplicate the march of notes, but can it recreate the sense of the Masters? Can technology interpret Carmingnola’s Interpretation of Vivaldi’s late concertos, as in Concerto in F major RV295 IL larghetto? to the valley of the Jacarandas! Thanks for the comment, Michele!